Changing the name on a deed to a home, whether it is before or after a death, is relatively easy. This can be done on your own or with the help of an attorney or title company to make sure that all parties' interests are covered. Contact your county recorder's office to get specific advice on what is required for completing a quit claim deed including the cost of recording. Each county may have different requirements, so checking with them prior to completing work will save you time and money. Fill out and file a quit claim deed to transfer a house deed prior to death. 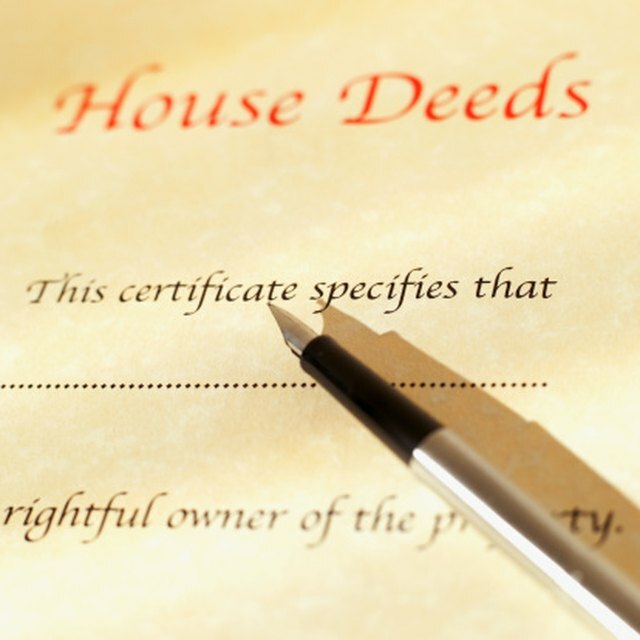 The quit claim deed is the recorded instrument that adds, changes or removes names from the deed to a property. You can find blank, basic deeds at an office supply store. If you are uncomfortable with the form, contact a local attorney or title company. They will be able, for a fee, to complete the quit claim deed correctly. The deed with need to be signed by all parties named on the deed and also include any names being added to the deed. After a death, a certified copy of the death certificate must be supplied along with a quit claim deed, personal representative, transfer on death, or beneficiary deed along with the acknowledgment and signatures of all of the remaining individuals also named on the deed. The type of deed used will depend on your area, and typically an attorney will help with making sure the appropriate deed is completed. Have the quit claim deed notarized. If you have completed the quit claim deed yourself, you will also have to have it notarized. Many places will notarize an item for little to no fee, such as your bank. The title company or attorney's office will also be able to notarize the form for you. Take the deed to the recorder's office in the county in which the property is located. If the deed change is prior to a death, the notarized quit claim deed with all signatures is required. After a death, provide a certified copy of the death certificate at the time of recording along with the appropriate deed. Record the deed. In the case of death, removing the name of the departed from the deed is not required. It will not affect liens or ownership rights to the property. Removing the deceased's name will only be required if the home is being refinanced or the property is being sold.